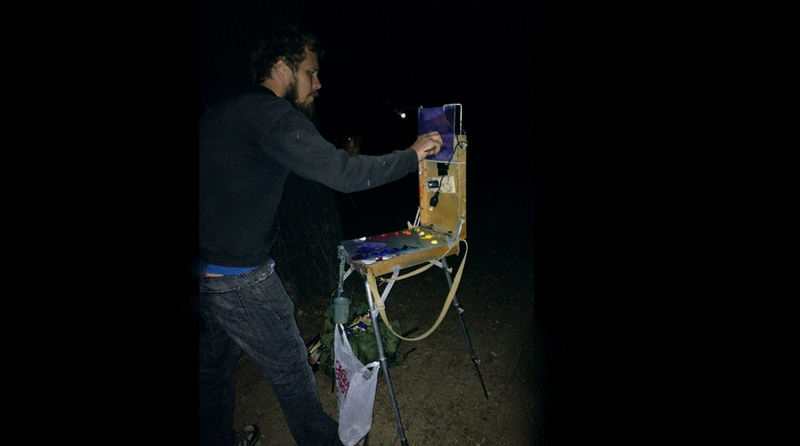 I hiked with my painting gear about five miles into a corner of the remote California desert to paint the sketch for this piece at night. Animal and plant life are extremely scarce in this particular desert, yet out in the middle of nowhere, a small bunch of California native fan palms, Washingtonia filifera, grows from a hill of dried mud. Palms have shallow root systems and require a good amount of water to survive, so if you find one, you’ll know water is close to the surface. I use a few small LED lights to paint at night. Nighttime is often thought of as colorless, just dark and black, but in this painting, I used a full palette that includes some strong colors: cadmium red, orange, and yellow, pthalo green and blue, cobalt blue, quinacridone rose – the same full palette used to paint the sunset piece below. 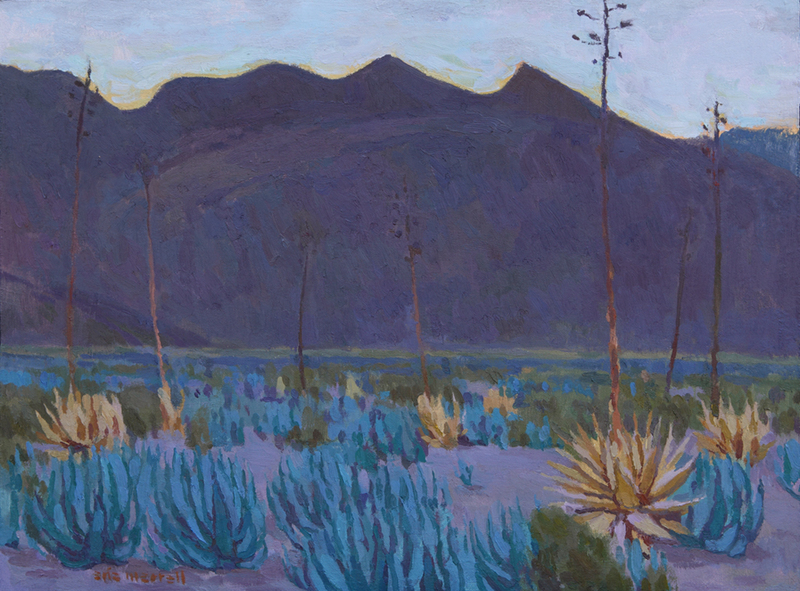 It’s hard to get a good photo that shows the color in the nocturne, so I hope you’ll check it out February 10 - March 25 at The Autry. The poem below was written to accompany the main piece in the show by the same title. This will be my first year participating in the Masters of the American West. I'm thrilled to have been invited to participate, and will be exhibiting the four pieces shown here.